It is suitable for decoration living room, bedroom, balcony, corridor, flower shop, villa, garden and so on. Tip: This product only sells flower rack, excluding other items. European style bamboo flower rack. Simple modeling, fashion and generous. Environmentally friendly material, no pollution, no rust, guardian of the family's health. The design of universal wheel can turn freely and move more conveniently. European style design, creating a beautiful romantic garden. If you have any questions about this product by HZB flower frame, contact us by completing and submitting the form below. If you are looking for a specif part number, please include it with your message. 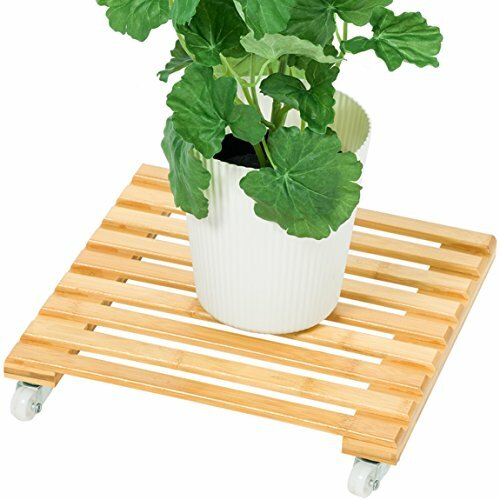 HZB Iron Flower Rack,Golden Living Room Balcony Floor Flower Pot Rack， Room Inside and Outside Green Lace Flower Shelf.